Again add this snippets in functions.php file. Genesis Framework have genesis_footer hook. I used this hook and set the priority 20. Now this widget area will appear below the site-footer div. 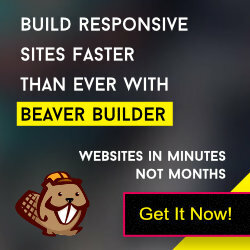 Create a full width subscription form template using Beaver Builder Plugin. Navigate to Appearance -> Widgets page, drag&drop the Beaver Template Inserter widget in Sticky Sign Up widget area and select the Signup template from drop down list. Save the widget. Now refresh your site and see the changes.